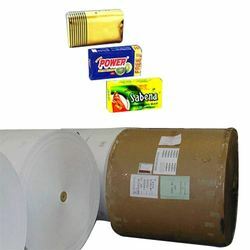 Manufacturer of a wide range of products which include plain & printed packaging material. We provide you with plain packaging material and printed packaging material for soap, tobacco, ORS, Pesticides, Electrol & all food product. These printed packaging material are all manufactured by extrusion, lamination plant using food grade LDPE.